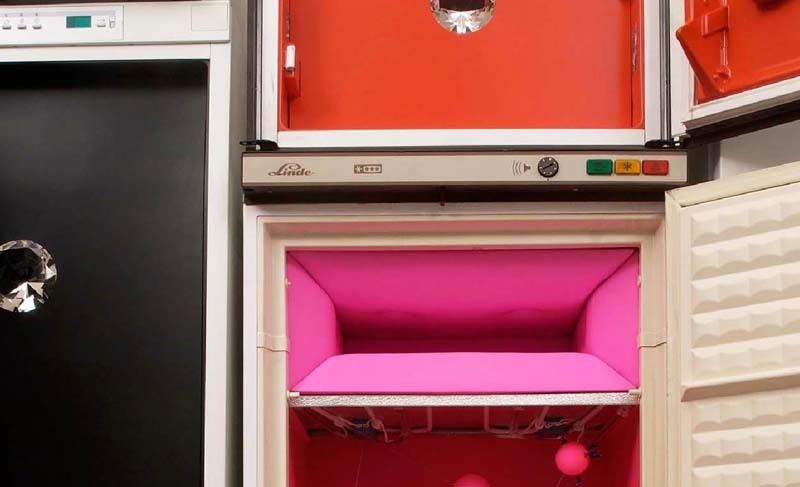 The first thing I thought of when I landed on German landscape architecture studio Topotek 1’s (previously here) projects page and was greeted with all the brightness was “Why don’t real refrigerators come with bright-colored interiors? ?” So great! Maybe one color for the freezer and another for the fridge? But, they’re not selling refrigerators at Topotek 1. Instead, these are images from their very fun interactive installation titled Cold War at the Venice Architectural Biennale 08. 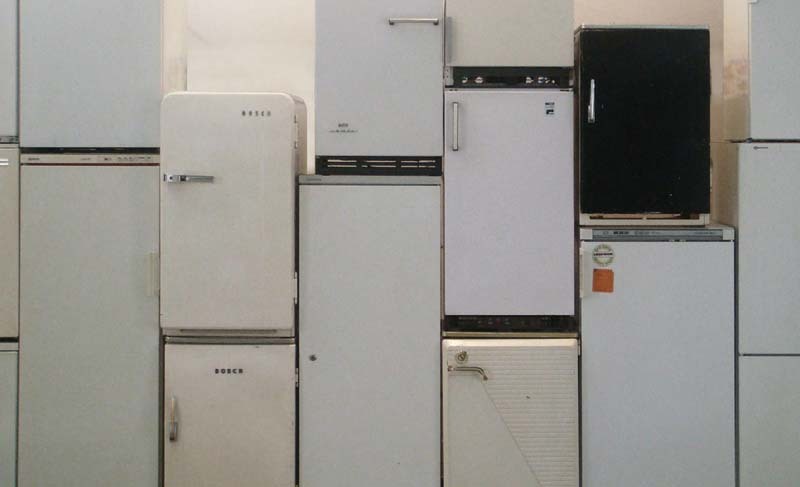 Roughly twenty fridges were lined up and stacked against a wall in the Italian Pavilion each containing funhouse-like effects from sounds, kaleidoscopic viewing machines, to fans, mirrors, peep holes and more. According to principals Martin Rein-Cano and Lorenz Dexler, the installations are a demonstration of the company’s work tactics, offering a glimpse into enchanting worlds. Photos courtesy of Topotek 1 except image of fan courtesy designboom.